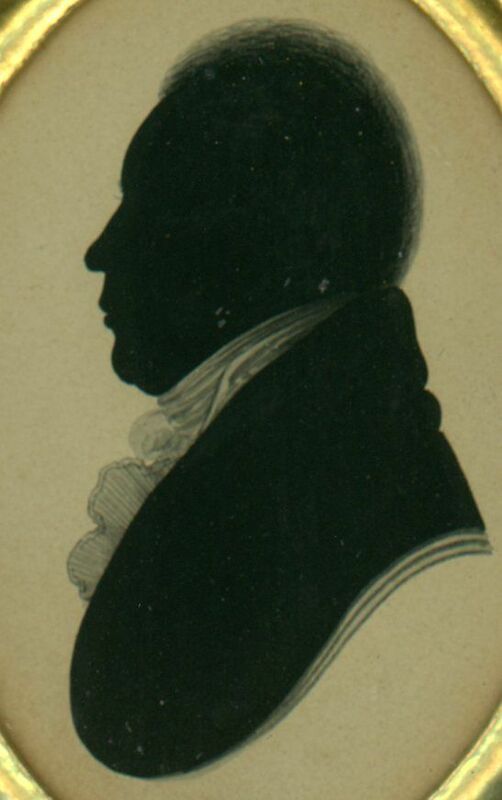 This silhouette of a gentleman wearing a stock and frilled chemise was painted at Bullock’s Museum of National History and Antiquities where the silhouettist William Alport had a booth between 1806 and 1810. His work is recognisable by the lines drawn beneath the bust-line and by the neat outline finish of the frill. 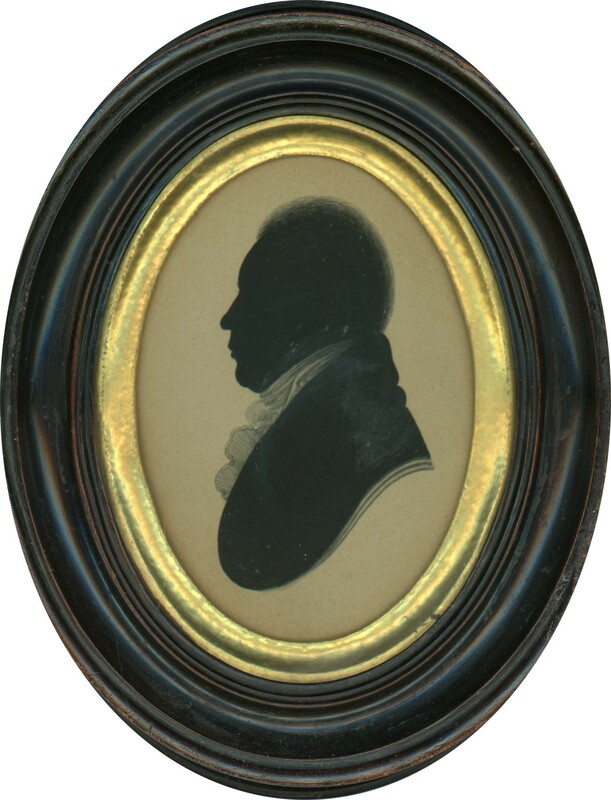 The profile is housed behind old glass in the original turned wood frame with a gilt slip. It is backed with the trade label for ‘W. 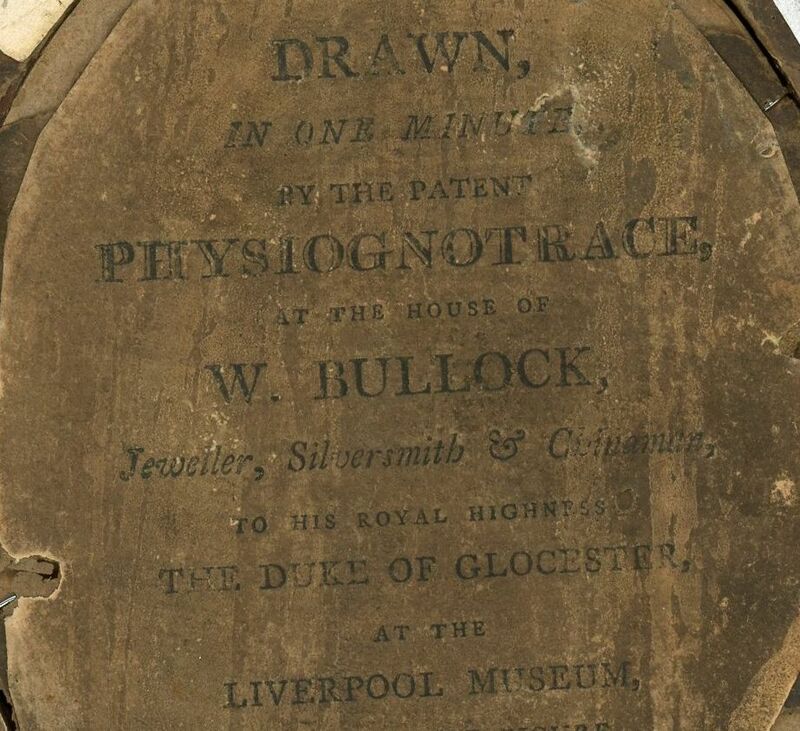 Bullock, Jeweller, Silversmith & Chinaman for his Royal Highness The Duke of Gloucester at the Liverpool Museum’. The silhouette is in excellent condition; the frame has some old loss to the outer right edge. 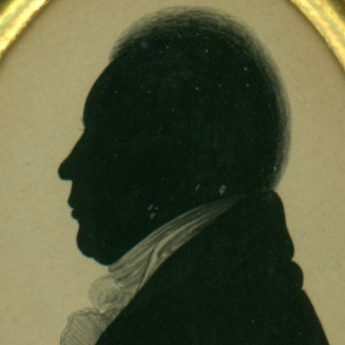 William Bullock was a wealthy Sheffield goldsmith who, having amassed a vast collection of artefacts, antiquities and stuffed animals, set up his own Museum during the 1790s. In 1801 he transferred his Museum to Liverpool where he employed Alport and two other artists. 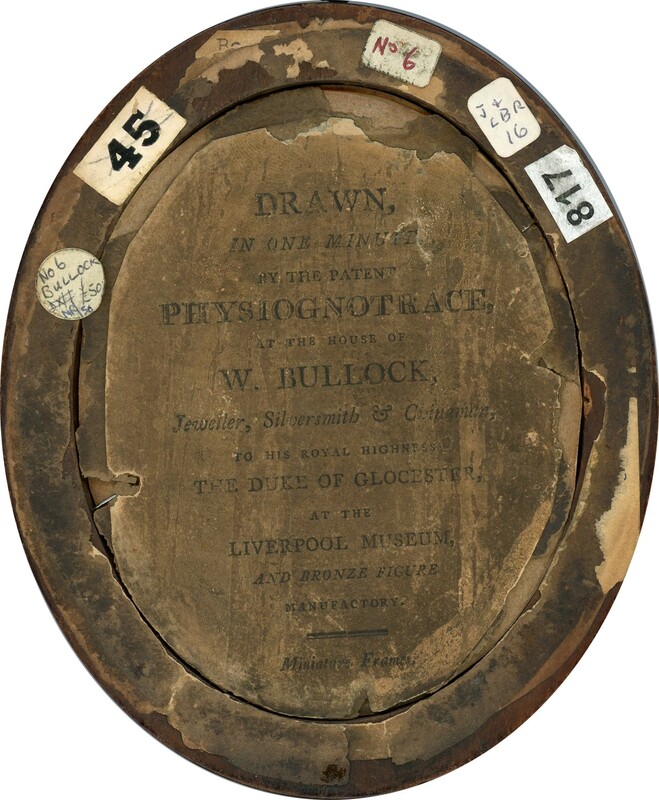 Bullock himself was not a silhouettist though he did claim to have invented a physiognotrace, a device that used wire and lenses to capture and reduce an outline profile. In 1809 he once again moved his Museum, this time to the newly built Piccadilly Egyptian Hall in London. 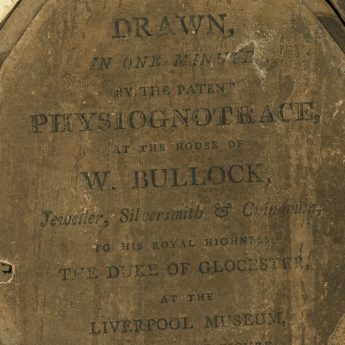 Both Alport and the physiognotrace machine remained behind in Liverpool where Alport continued to work under his own name. 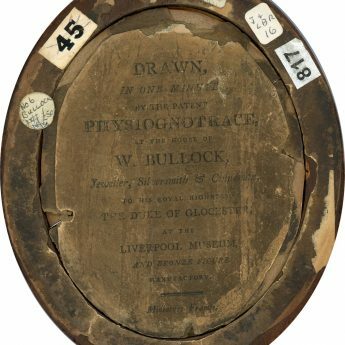 As for Bullock’s collection of over 32,000 items, it was eventually dispersed by public auction in 1819.